Will this be only for Windows or? For the time being yes, and maybe browser. The game will be released for free in ~2 months. I'm finishing up. Working with our sounddesigner on the music and sounds, putting all the words together. It's been a long ride, but soon it'll be finished. i tried. i really tried to build a save / load function. i used unitySerializer, a plug-in supposed to make everything easier. But i got only errors. it's because how we built our engine in unity, it's complicated. the endline is, there will be no save or load function. which is sad, but not tragic. the game will be, as said before, short. If you're good and see thru the puzzles, it will take you maybe 20 to 30 mins to complete it. If not, max. an hour. So yeah, a save function would have been nice, but i've got my head in other things right now. Watched the trailer, looks good .. kindof an OOTW vibe from it. we're aiming to release the game on the second october week. hopefully we'll make it. As a huge fan of the original Loom, I look forward to this project! i'm implenting all the sounds and music right now. fixing bugs, and still trying to build a save/load function into the engine. but it's time to finish this one. got to talk to some press next week. i owe some chris a thanks and all. everything coming together. only a few things to do till the release. i gave the game to several people to playtest it. the playtime is aprox. 30 min. which is great, since it won't have a save function. I really am proud of this, since it's my first game. sure there are a lot of things that didn't make it into the game. I won't tell, you'll see for yourself. But it's actually such a huge project, it's too much for just 2 people to work on occasionly. Especially with none of us having experience in game making. so after blowing it up (it was supposed to be just a proof of concept) I am bringing it to a respectful end, closing the ties and leaving it be as it is. I hope you'll all play it and see for yourself. It's definitly worth it! Next weekend! Olav & the Lute is now released! 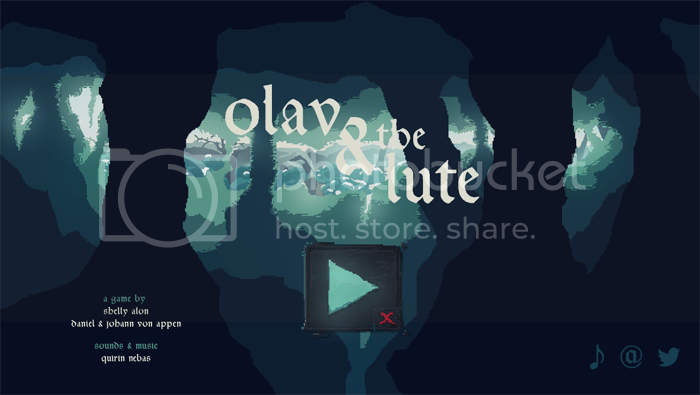 Olav & the Lute is as of now released for free on www.olavandthelute.com for download (win) or browser play. A playthrough is roughly 30 minutes long. I’ll be glad if you’ll take a look at it. It’s mine – and our – first experience in game development. What started as a mere proof of concept evolved and got bigger and greater. 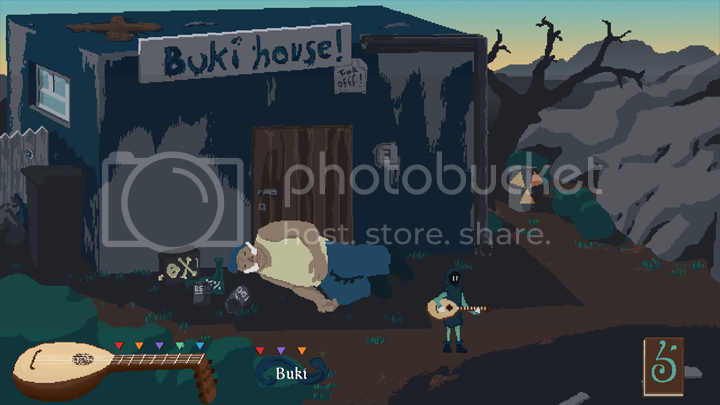 Olav & the Lute is a great project we now brought to an end. Though it lacks many things it is hopefully worth the play. I just finished playing through, and I really liked it. I'm a huge fan of old point n clicks, monkey island and loom were both childhood favorites. I'm not quite sure what to make of the ending or the story at all really, but the interactions between the characters were fun. I look forward to seeing your guys's future games, especially if you make another adventure point and click. Congrats on finishing the game! Good! Really good. Truth is I'm happy it is over with. Stop! Don't get me wrong, I love the game and it was real fun to work on it and I could work more! A lot more. And thats the problem. Olav & the Lute started as a mere Proof of Concept and we continued to add tings into it, blindly. After half a yers work on this, our - mine - very fizst game, I had to decide, that it is time to finish. I could work aothhr 2 years on that, it's a great concept and the mechanics works great. So as a proof of concept it succeded. But because of us blindy without an overall concept addind more and more to e game - it lacks a lot. Because still a lot of things didnt get in. 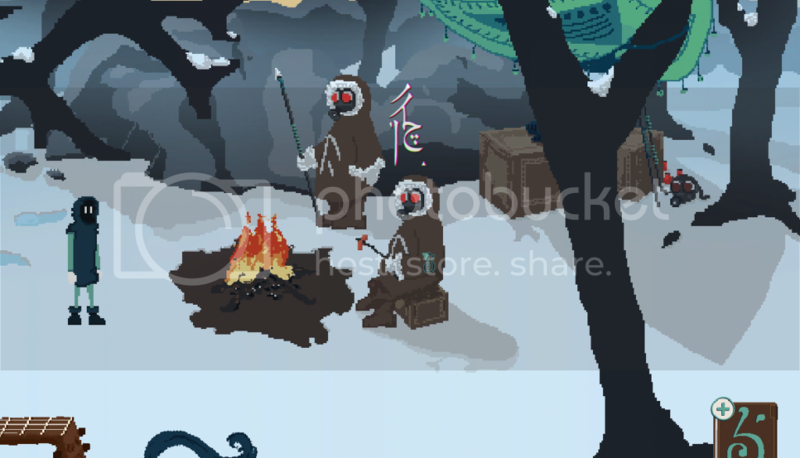 So if you play it and miss like a dialog system, more interactions oder a better pathing system: I know. It's far from perfect. But it's a finished game, our first. And i am really really proud of it. Some sites wrote about it (thanks!) and some maybe will, almost 300 people played it which is far more than i expected.